My Night Guard Broke. What do I do? 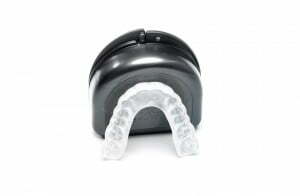 Dental night guards are devices which are worn by dental patients who suffer from unconsciously grinding their teeth during the night while they sleep. Grinding your teeth during the night can cause tooth decay, tooth sensitivity, jaw pain, and other negative health consequences. Night guards protect the teeth of individuals who grind their teeth while they sleep from the extensive damage that can ensue as a result of habitual teeth grinding. They are usually worn only at night and taken out first thing in the morning. Simply put, night guards are made from an exact mold of your teeth that is generally crafted from a hard or soft blend of materials (usually plastics). 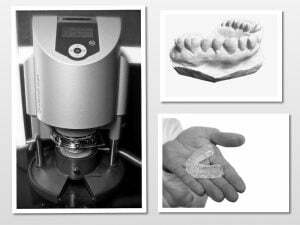 A true custom made night guard is crafted using special machinery that heats material to form over a stone mold of your teeth so that the custom formed appliance fits each patient’s teeth exactly and remain still in the patient’s mouth in order to cover their teeth completely throughout the entire night. Unfortunately, mouth guards can be extremely expensive. One night guard purchased from a dentist that has been fitted specifically to your mouth can cost upwards of three hundred to one thousand dollars, with the average price settling around five hundred dollars. It is an option to purchase a cheaper mouth guard in a drug store or similar shop, but these mouth guards are not guaranteed to fit your mouth well and often break very easily. However, even expensive mouth guards purchased from a dentist are known to crack, break, or wear down after nightly use. Night guards generally cannot be repaired if they are cracked or broken and must be re-molded and crafted from scratch. There are different reasons why night guards break. Some night guards are simply made poorly and break easily. Other times, your dentist might underestimate the severity and frequency of your teeth grinding and prescribe you a night guard that is not strong enough to withstand your grinding. 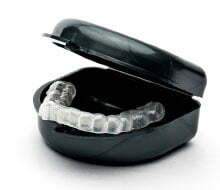 Patient care can also contribute significantly to the breakage of a night guard. If patients treat their night guards poorly and fail to take care of them sufficiently, they are likely to crack or break much more quickly than they would if they received proper and frequent care. 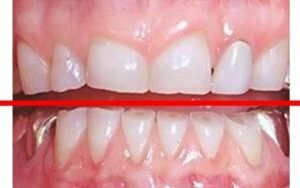 This person has suffered from Bruxism for many years. The teeth are flattened and shortened from constant, excessive bruxing (grinding or clenching the teeth). Expensive dental work and the use of a night guard is needed. The thickness of the night guard is measured between the occlusal (chewing) surfaces of the teeth. 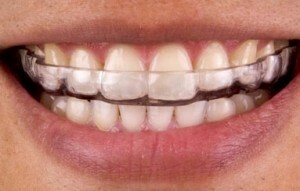 A thicker night guard will offer the protection & durability this patient needs to protect the teeth from further damage. Before you purchase a night guard, it is helpful to know how long night guards are supposed to last in order to compare prices and prepare for ultimate replacement. The expected life span of a night guard depends on the material that the night guard is made from and how it is crafted. Different types of night guards have varying expected life spans. Soft night guards are usually prescribed only to patients who do not grind their teeth severely or grind them fairly infrequently. They are made primarily from EVA plastic which is why they have such a soft texture as compared with other harder night guard models. This type of night guard lasts the shortest amount of time; the lifespan can extend through years but often needs to be replaced every six months or so before it wears down or breaks. However, soft night guards are also usually less expensive than their harder counterparts because they are easier to make and can be less durable. Dual laminate night guards have a longer life span that ranges from about nine months to five years. This wide range is due to the variation of different patients’ frequency and severity of grinding as well as discrepancies in how different patients care for their night guards. 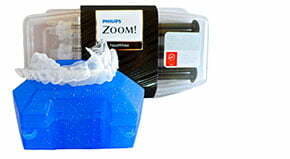 Dual laminate night guards can offer more durability than soft night guards. They are still soft on the inside but hard on the outside & can offer the same amount of protection for severe grinding as night guards that are crafted from completely hard material. Hard night guards can be made to be the strongest and most durable type of night guard (depending on chosen thickness). The guard does need to be at least 3mm for maximum durability. A thin, hard daytime guard such as a 1mm can crack more easily. The 3mm thick+ hard guards are designed for patients who grind their teeth on a nightly basis and grind extremely heavily. 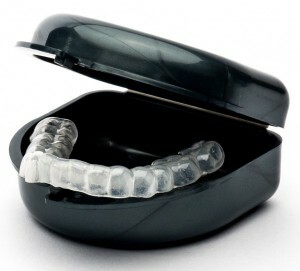 In these extreme cases, a hard night guard is necessary in order to protect these patients’ teeth from grinding damage. Hard night guards are crafted from hard plastics and are generally quoted to last between one and five years. Like the dual laminate night guards, the life span of hard night guards can vary significantly depending on how different patients care for them. No matter what type of night guard you get to fit your needs, it will eventually break, crack, or wear down until it no longer fits or becomes ineffective. 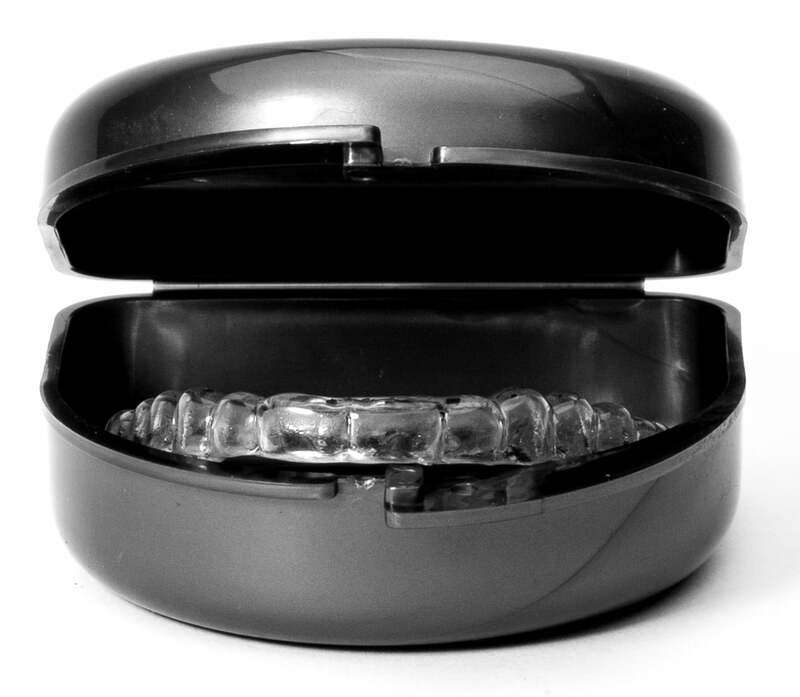 At this point, if you do not want to purchase a new night guard for hundreds of dollars at its full price, you have to rely on your dentist’s warranty. Not all dentists offer warranties on night guards. Some dentists offer full warranties that last many years, while others only offer extremely short, limited warranties that only extend for a few months in order to give patients some time to get used to their mouth guard and ensure that it fits well. Before you purchase a night guard from your dentist, it is important to ask them what their warranty policies are for night guards. If their warranties are extremely limited, it is a smart idea to check around and determine if other dentists in your area offer a better warranty in order to save hundreds of dollars in the long run. Keep in mind that the Sentinel warranty and return policy is unlike any other. We stand by our products and will always work with you to your absolute satisfaction. This means that if you are dissatisfied with your product for any reason, you can either contact Sentinel within 90 days for a full refund or opt to continue working with us until you get a great fitting guard. Our commitment to you is 100% satisfaction. Warranty Information: 100% satisfaction or 90 day money back guarantee. 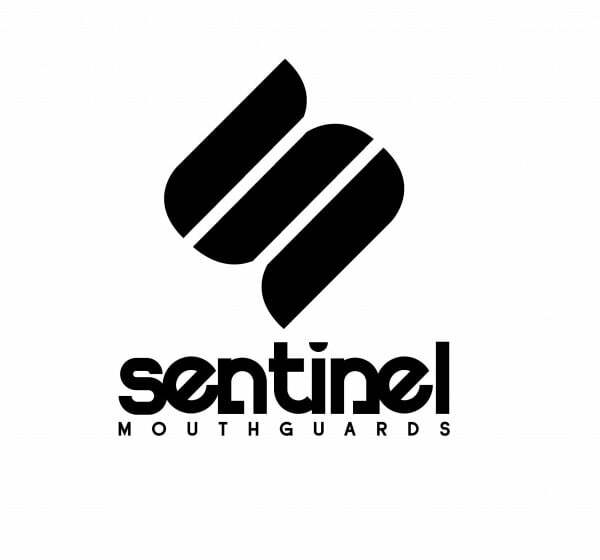 If you’re not happy with your new night guard for any reason, Sentinel will either offer a full refund (provided you contact us within 14 days of receiving your night guard) or we will work with you until we get it right. Defects and wear policy: If your night guard becomes defective and/or wears down before stated timeframe (see below) we will replace at no additional cost to you (upon receipt of defective/worn night guard and original invoice). What if a Night Guard Breaks While you are Sleeping? After discovering that night guards often crack or break without warning, many individuals begin to worry about what might happen if their night guard break while they are sleeping and wearing it. Most patients’ primary fear is that they might choke if their night guard breaks and falls out of their mouth while they are wearing it at night. Fortunately, this fear is very unlikely to come to fruition. Even when night guards crack while they are being worn, they usually do not come loose from your teeth. When your mouth is closed while you are sleeping, most night guards heat up from your body temperature and meld slightly to your teeth in order to remain in position throughout the night, so there is very little chance of it coming loose even if it were to break during the night. Furthermore, the natural reflex of your brain is to spit out any strange objects in your mouth, even while you are sleeping. Therefore, even if your night guard were to crack and fall out of position while you were sleeping, you would probably wake up to find it missing from your mouth rather than choke on it.